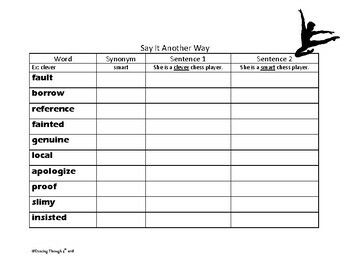 Perfect for vocabulary work! 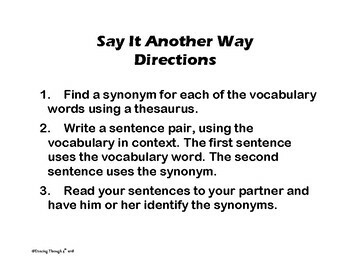 Students figure out a synonym for each word and use the words in sentences. 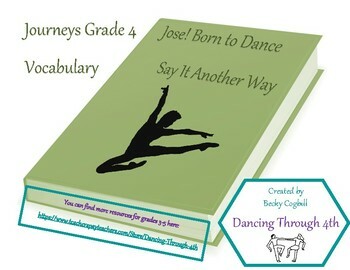 Words go with the Journeys grade 4 Jose! Born to Dance story but would also work independently.